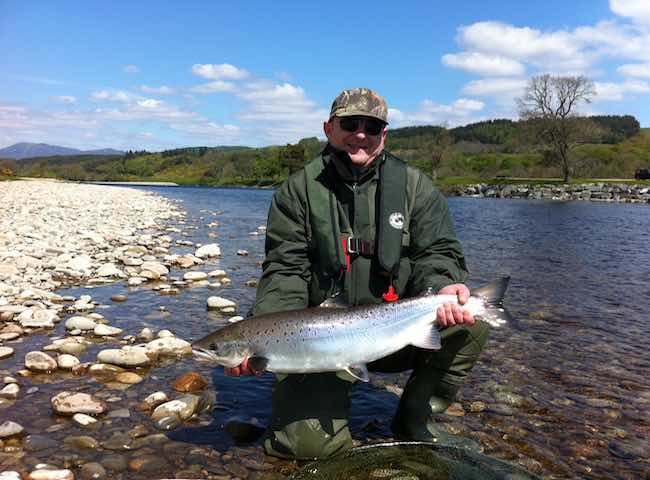 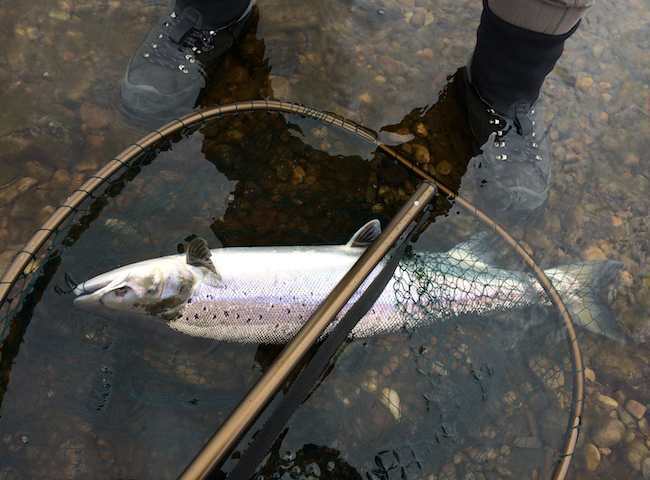 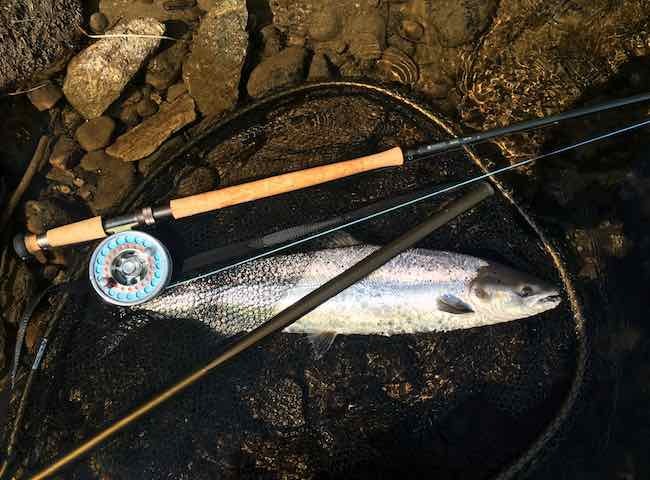 This pristine salmon was caught by this fortunate fishing guest during the month of May on the River Tay. 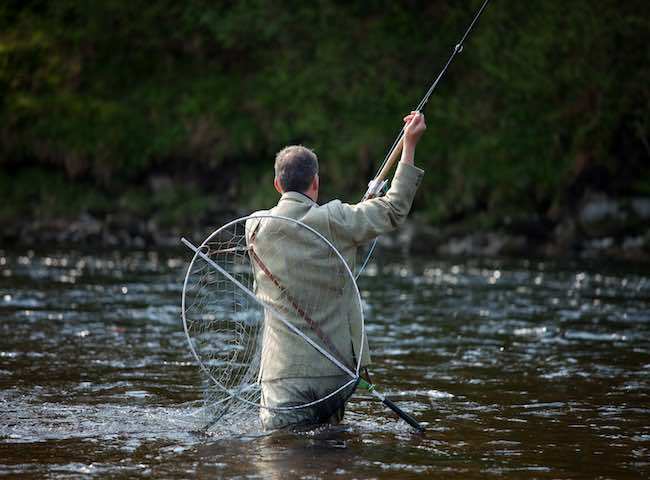 Every tide throughout the year brings fresh run salmon into the Tay like this one. 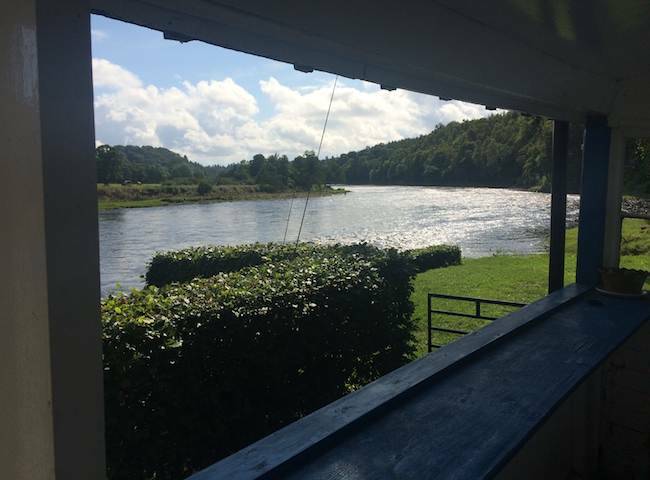 Here's a shot showing the River Tay from one of the many fantastic riverside fishing huts. 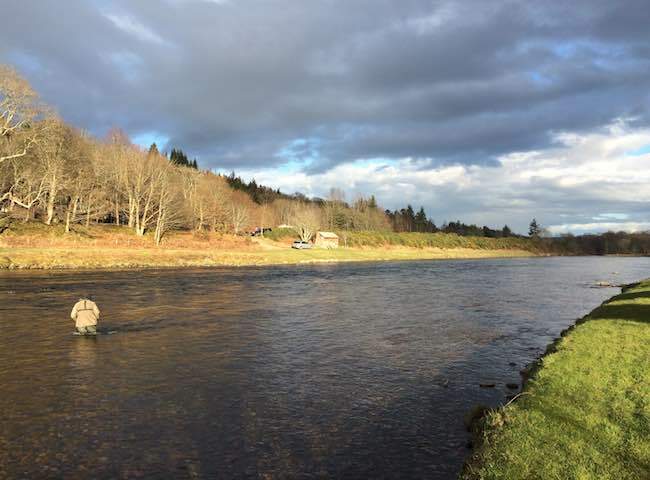 These huts have their own individual character and history. 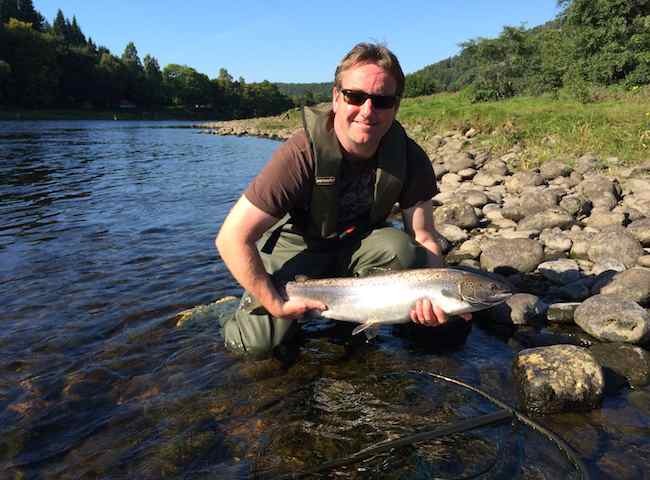 Here's another happy client after catching a beautiful Autumn salmon on the River Tay. 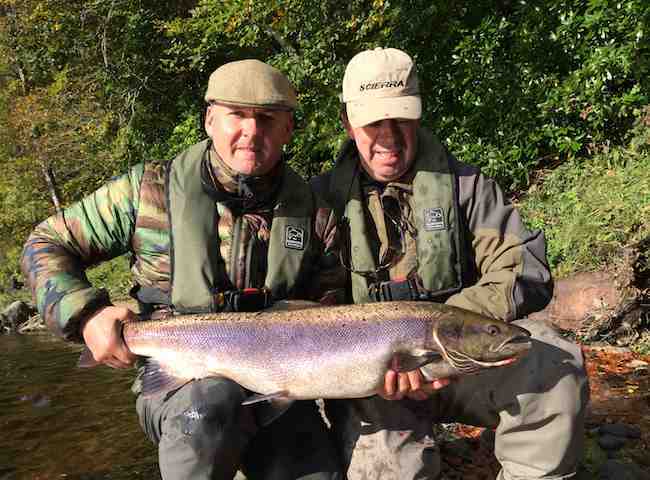 The Autumn months on the lower River Tay beats can be highly productive. 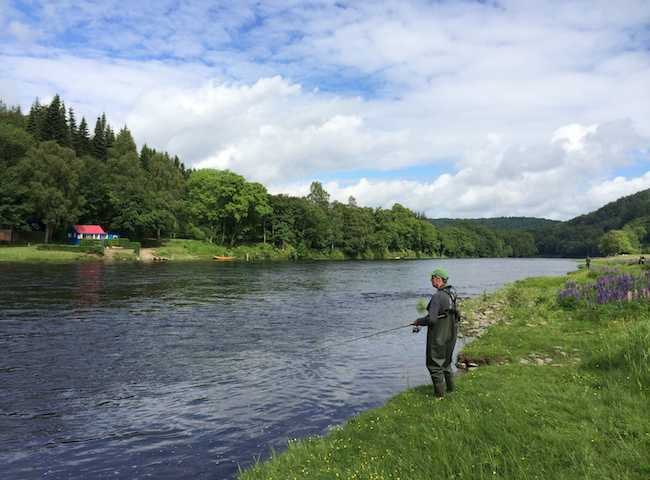 The River Tay offers some of the finest natural beauty and quality salmon fishing Scotland has to offer. 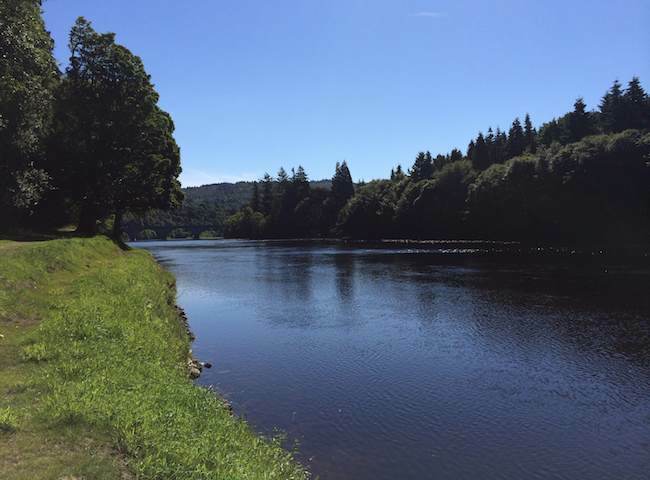 Treat your colleagues to some 'river therapy' on Scotland's finest salmon river.